Reiki Healing Journeys - Welcome Quiet your mind Ease physical pain Alleviate Stress Center your spirit Experience a sense of over-all Harmony and Well-being Pamper Yourself ~ Give yourself The Gift of Reiki ~ Reiki Both a Japanese word meaning:Transcendent -Life Force And A System of Natural Healing The Principles of Reiki A mystical path to creating happiness A spiritual remedy for all afflictions Just for today don't anger Just for today don't worry Please appreciate everything and show gratitude Strive to embody the teachings in your actions and be kind to people Morning and evening please place your hands together in prayer position Center your heart, mind and voice Well being for the spirit and body ~Usui Treatment~ Lakota PrayerWakan Tanka, Great Mystery,teach me how to trustmy heart,my mind,my intuition,my inner knowing,the senses of my body,the blessings of my spirit.Teach me to trust these thingsso that I may enter my Sacred Spaceand love beyond my fear,and thus Walk in Balancewith the passing of each glorious Sun. According to the Native People, the Sacred Spaceis the space between exhalation and inhalation.To Walk in Balance is to have Heaven (spirituality)and Earth (physicality) in Harmony. Supporting Personal Journeys of Healing and Transformation. to express the source of inspiration and joy within." 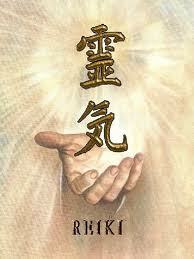 "Reiki" A Japanese word meaning, Spiritual or Transcendent life force. It is an amalgam of two Japanese words. "Rei"= universal, spiritual, transcendent. And "Ki" =energy, life force.Using this life force energy, it is a natural healing technique based on Ancient Asian and Eastern traditions. Restoring balance and harmony to the physical body and mind. As well as the energy fields around the body. It is intelligent, self-organizing and accumulative in its effects. Reiki is a System unified into a practical and easily applied technique in the 1920's by Mikao Usui, a Japanese Buddhist Monk. He named this System, The System of Natural Healing. Reiki is becoming increasingly popular worldwide. Reiki incorporates elements of just about every other alternative healing practice, such as spiritual healing, auras, crystals, chakra balancing, meditation, aromatherapy, naturopathy, and homeopathy. The system was rooted in Tendei Buddhism and Shintoism. Buddhism (a form of mystical Buddhism) provided spiritual teachings, and Shintoism contributed methods of controlling and working with the energies. Usui had a strong background in both kiko (energy cultivation) and a martial art with a strong Zen flavour (Yagyu Shinkage Ryu), and he also took Zen training, and these studies may have contributed in some way to the system that he developed. There also seems to be a strong connection between Usui’s system and Shugendo (mountain asceticism). Shugendo was a blend of pre-Buddhist folk traditions of Sangaku Shinko and Shinto, Tantric Buddhism, Chinese Yin-Yang magic and Taoism. In the 1920's, Dr. Mikao Usui, a Japanese Buddhist Monk, unified this knowledge into a practical technique that he called, "The Reiki System of Natural Healing". Brought to the United States and introduced to the West in 1936 by Hawayo Takata, a Japanese woman residing in then the Territory of Hawaii. It has been practiced since 1936 in the United States. During a Reiki treatment the Practitioner uses a soft, light touch on or above specific points of the clients body. The client remains fully clothed and either sits in a chair or lies on a comfortable Reiki table. Most Reiki Practitioners cover their clients with a light blanket. The role of the Practitioner in a Reiki treatment is to be a conduit or channel for the Rei-ki energy to flow through them to the recipient.They do not use their own individual energy in their work. The Practitioners have been trained in how to facilitate the flow of this energy to others. What can I expect to feel or experience during a Reiki Treatment? Certain sensations may be experienced by the recipient as the energy flows through the Practitioners hands. Reiki presents itself according to how the individual needs to perceive it. Some people feel sensations of heat, tingling, or coolness. Sometimes people feel energy moving to areas of an old injury or tension. Some feel a pang of discomfort as the energy helps bring residue healing and restore balance to such areas. Most find that the energy transports them to a deep relaxed state. It is not unusual for a client to fall asleep during a session. Most sessions last between One Hour to an Hour and a Half . Reiki is Not a message. How many Treatments do people require? No two people are the same. 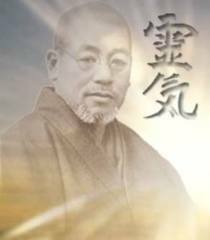 Therefore, no two people will respond to Reiki in the same way or in an identical time frame. For people with chronic conditions, weekly treatments are usually encouraged for about four to six weeks. This allows the energy to build up in the system. Those challenged with acute conditions, may notice lasting improvements after only one or two treatments. For those who wish to experience Reiki as only a relaxation treatment or a pampering session, once or twice a month is common. "Everyone who is seriously involved in the pursuit of science becomes convinced that a Spirit is manifest in the Laws of the Universe--a Spirit vastly superior to that of man, and one in the face of which we, with our modest powers, must feel humble."